Motion graphics is the marriage of graphic design, animation, sound—and is also one of the most powerful marketing tools on the web. They tell a story by borrowing aspects of photography, illustration, typography to create visually rich compositions to keep viewers engaged. Motion graphics are a highly creative way of delivering complex ideas in a simple way that anyone—from children to the elderly—can engage with and understand. Put simply, they’re highly accessible. And that’s what makes them such a potent marketing tool. Here’s a 30-second demo of Mighty Fine Design Co.’s motion graphics work. What goes into creating a powerful motion graphics piece? Of course, what makes motion graphics great is only brought to its full potential when there’s a strong team behind the wheel. There are four key elements on achieving this. These are the staples of how we work with our clients at Mighty Fine Design Co: Creative Teamwork, Concepting and Storyboarding, Illustration, and of course, Animation. Creative teamwork is where the magic begins. It’s when writers, designers, and creative directors come together to craft unique narratives to your brand, and messaging that’s easy enough to be understood by all. Next up, we begin concepting and start storyboarding—this is where we draft a script and decide the visual style of the motion graphic. After the script is written, we find professional voiceover talent that speaks in your brand’s voice. Graphic designers then create visual assets in the illustration phase. Finally, a motion designer breathes life into those assets and makes them move with animation. 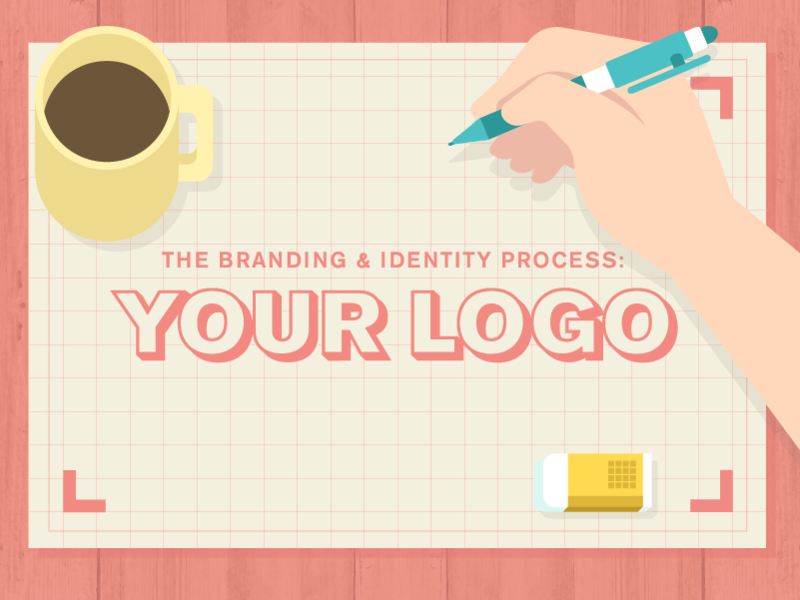 The entire process is overseen by a creative director to make sure your brand’s message stays on track and the final product is polished to its maximum potential. Why invest in motion graphics? Video is the main direction the internet is taking when it comes to marketing. This is evident, as the number of businesses incorporating it into their digital marketing strategies is no small sum. According to Cisco, 69% of all global consumer internet traffic was taken up by video in 2017. They also predict that the number will spike up to 80% of all consumer internet traffic by 2019. Of course, there’s a good reason for this, too. It’s because motion graphics brings results. According to Tubular Insights, 46% of consumer say they have made purchases as a result of watching a brand video on social media. Now that’s some serious marketing magic. And motion graphics stands at the top of effective video marketing material, for good reason. Let’s take a look. So we know that motion graphics work—but why? Let’s take a deeper dive into what the makeup of a successful piece looks like. Here’s the anatomy of what makes motion graphics an incredible marketing experience. When it comes to breaking down complex ideas to your customers and clients, motion graphics becomes your MVP. Ideas and concepts that would normally take a while to grasp by text alone can be understood within a minute with video. We know so because visual data is processed 60,000x faster than text. This is one of the strongest reasons why motion graphics are effective. They are able to present products, services, and ideas in such a way that becomes easily digestible for the viewer. With an overabundance of media cropping up at every corner of our digital lives, attention spans on the web have become shorter. Or as we like to see it, more objective. Put simply, we don’t want to waste our time, consuming media that doesn’t interest us. That’s why successful motion graphic pieces are concise and engaging. From our experience and research, we have found that most marketing videos should be under two minutes—the shorter, the better. This keeps it short enough to keep your viewer’s attention throughout the video, while still fully explaining your product or service. In a study by Animoto, they found that 59.9% of consumers would be strongly deterred from watching a video that was too long. Think about it in the shoes of the consumer. How much time are you willing to spend on a video that’s trying to sell you on something? Chances are, not very long. Great motion graphic videos are always within a shorter time frame to avoid people falling off because the content has dragged on for too long. The best part about it? Consumers are happy to share your content for you, with an overwhelming 97% saying they would share a video if it was informative or interesting to them—how’s that for free promotion? This is something that isn’t immediately realized when thinking about the value of a good motion graphic. The value of the piece extends far beyond the initial and intended scope of usage. For example, the motion graphic can be used to create engaging social media posts, or even included in blog articles. You can even use it in relevant presentations, emails, or events. In any related situation—whether on the web or offline—motion graphics become an invaluable resource and reference that’s specifically tailored to best suit your brand. Motion graphics inspire a feeling in those that view it—and this can be tailored to whatever narrative you’re trying to create. Whether it be solemn or joyful, the tone of the piece will guide the perceptions of those watching it. Heavy statistics and data analysis can put a lot of people to sleep, but they don’t have to be a recipe for nap-time with motion graphics. Motion can elevate the emotional connection by bringing in imagination and fun into the equation. Numbers and statistics become interesting, because they’re presented in such a way that makes the viewer feel something about them. Not to mention, this is a great opportunity to create a unique experience for your brand, and for people to create emotional responses when they know the content is coming from you. Motion graphics are extremely easy to consume. Especially, far more so than reading. As we’ve mentioned before, visual data is processed 60,000x faster than text. Now that’s some serious information processing speed. The only restriction on what your audience will see is your imagination. That means if you want a tap-dancing unicorn to sell your gourmet jelly beans, then presto… a tap-dancing unicorn it is. Now for the fun part. The world is your oyster when it comes to motion graphics. You want a rhinoceros stampeding across the moon wearing your brand’s sport sneakers? No problem. 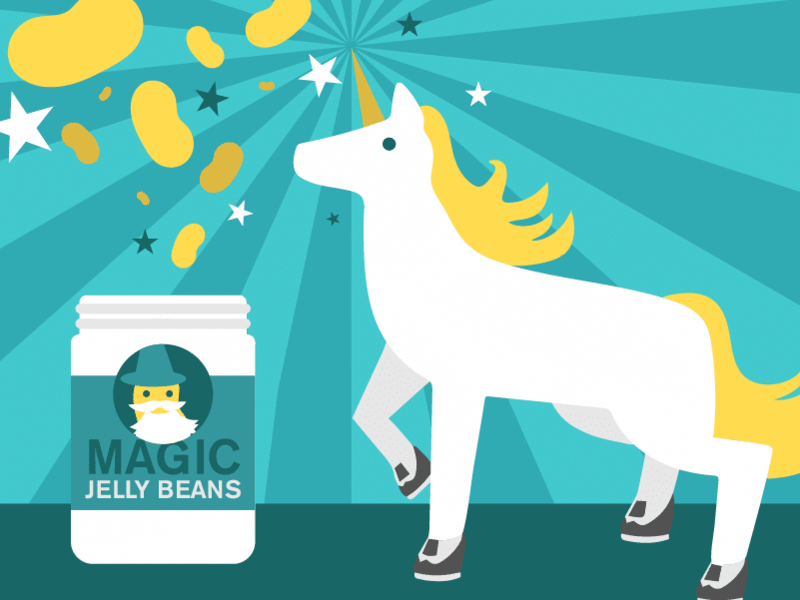 How about a tap-dancing unicorn to sell your gourmet jelly beans? You got it. We can bring anything to the table with motion graphics, no matter how absurd it may seem—and that’s why people love watching motion graphics. Not to mention, this allows us to create visual metaphors to break down complex ideas. Imagine if you were selling computer parts, and your product’s speed in comparison to your competitors was like a mile-long race between a jet plane and a skateboard—well, what’s stopping us from illustrating that point? And that’s not to say you can’t keep things on the professional side and still be fun. With clever transitions and animation, we can find visually engaging ways to illustrate anything from heavy-duty statistics to corporate product introductions. The possibilities are endless. As is evident, motion graphics are here to stay for the foreseeable future. Naturally, with an anatomical make-up as strong as we’ve discussed, it’s easy to see why motion graphics are marketing gold. If you have any motion graphic needs, let us know how we can assist you. Our team of creative directors, writers, illustrators, and motions designers would be happy to help bring your ideas into motion.